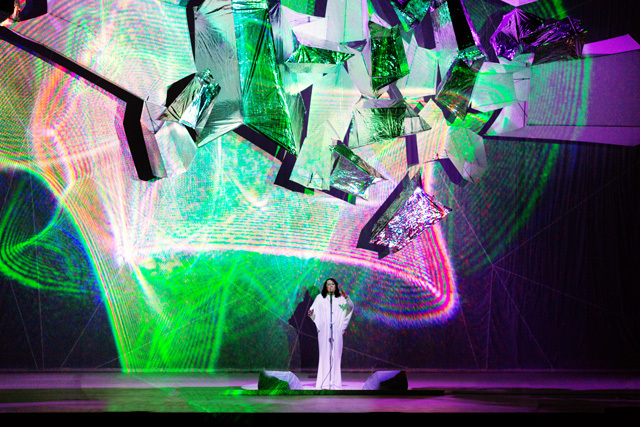 The Royal Opera House has presented the first London performances of ‘Antony and The Johnsons: Swanlights’, with the Britten Sinfonia on 25 and 26 July. 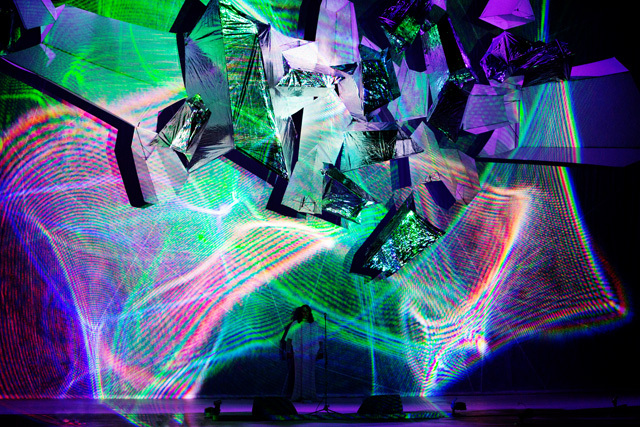 The performance piece was originally commissioned by the Museum of Modern Art (MoMA) in New York, and was presented at Radio City Music Hall in January 2012 to great acclaim. The piece enjoyed further success at the 2012 Melbourne Festival. A meditation on light, nature and femininity, Swanlights features songs from all four of Antony and The Johnsons‘s albums to date and is backed by the Britten Sinfonia and orchestral arrangements by Nico Muhly, Rob Moose and Maxim Moston. The piece features dramatic lighting and special effects with a large ‘crystal’ centrepiece absorbing the performers, with the show described by lighting designer Paul Normandale as a ‘series of reveals’.